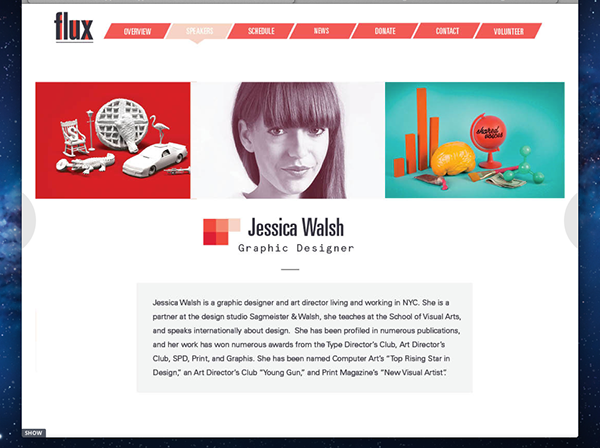 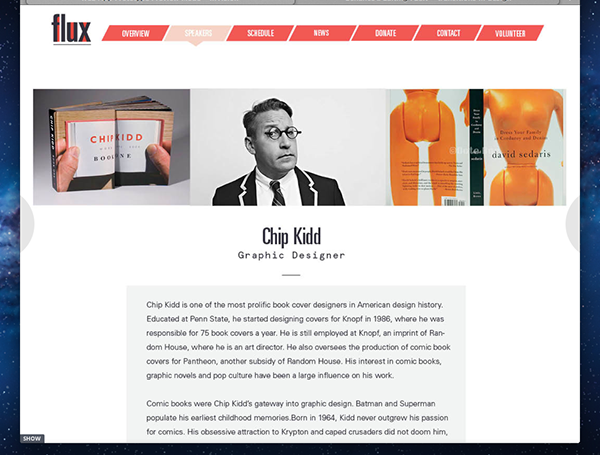 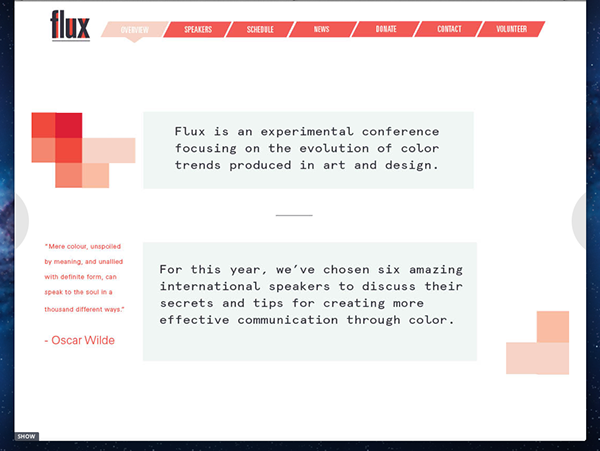 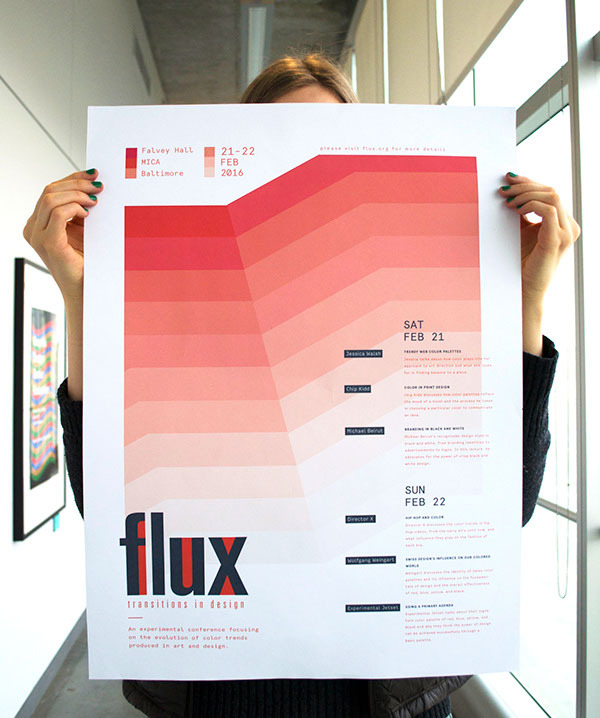 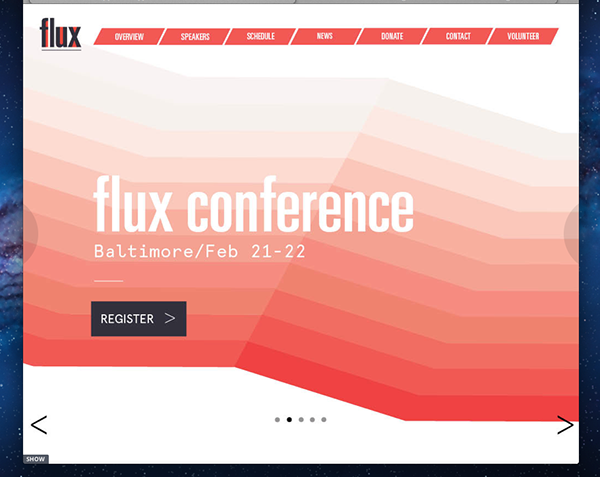 Flux is an experimental conference focusing on the evolution of color trends produced in art and design. 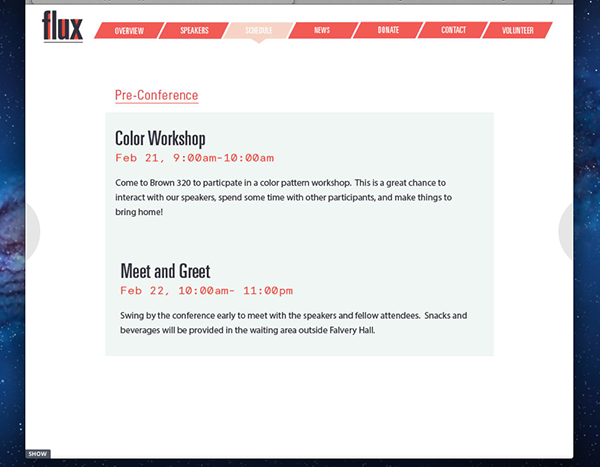 The conference in mind would have a new color to represent the branding each year and this year, that color was pink. 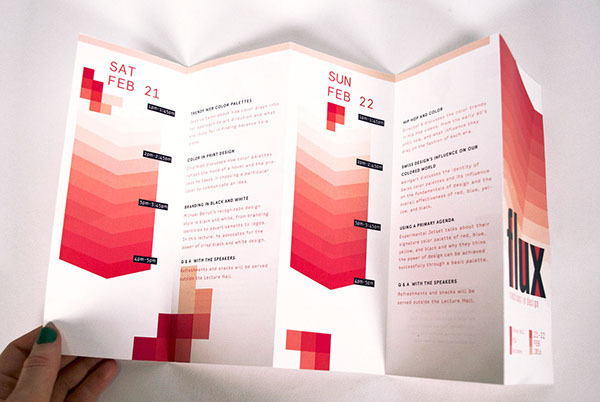 A panel of international speakers are chosen to give lectures on color communication, color palette evolution and other topics relevant to the theme of color.